Nobody want’s a bad tenant wasting their time and money. There are bad tenants out there, but rest assured there are also plenty of good tenants too. 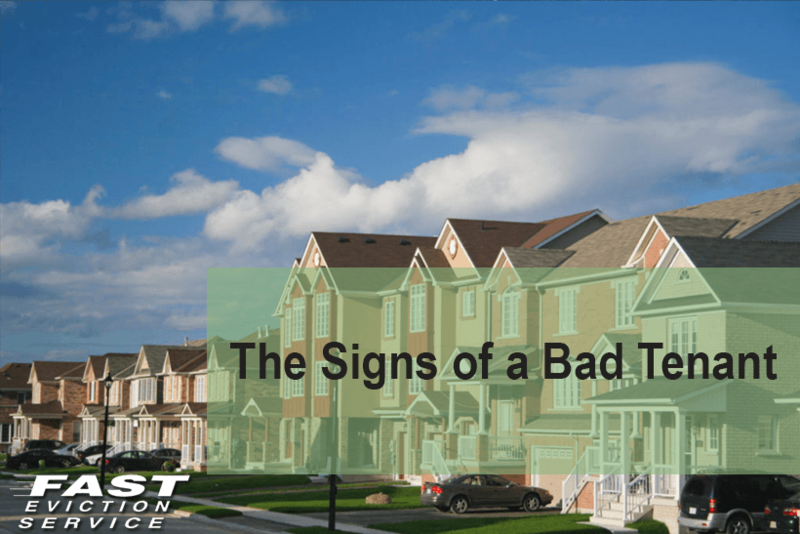 Here are a couple tips to help you spot the bad ones before it’s too late. Hesitation to fill an application – this could be a sign that the tenant wants to withhold information from you. In a rush to rent – make sure he’s not looking for a place to hide. Multiple employments in 2 years – this could mean that the tenant has a non serious attitude towards work and might be unable to pay rent on time. Multiple home addresses in recent years – hoping from one apartment to another could also be a sign of inability to pay rent and avoiding lawsuit from landlord. Waving money in your face – as lucrative as a 3 month rent in advance may sound, investigate further before accepting it. Signs of intoxication – tenants who appear to be intoxicated should be avoided. Ignorant to the property’s condition – a tenant who is oblivious to the condition of the property is likely to never keep it in good condition. Accompanied by many people – beware of a bunch of people who come to see your property, they might be planning something.